Starting Jan. 1, a new minimum wage of $15 an hour took effect in the community of SeaTac in Washington state. But most workers there are not receiving it. 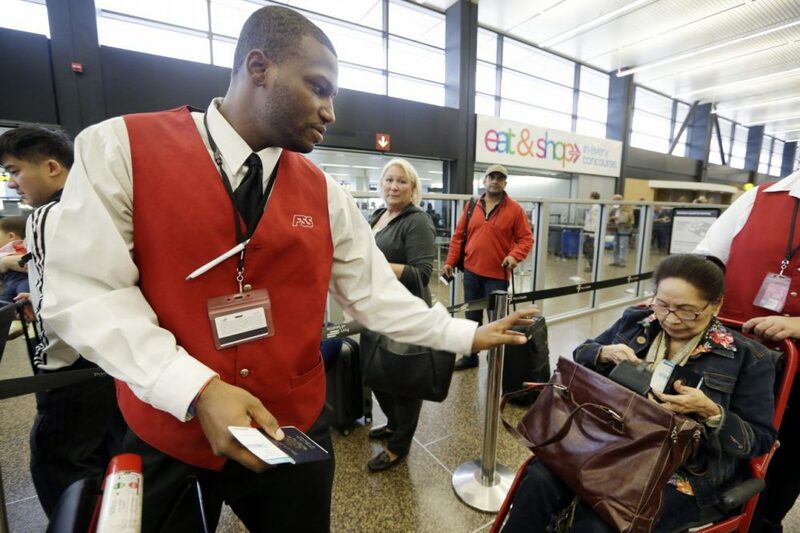 Last month a judge declared that workers at the SeaTac airport couldn't receive the new wage because the city had no jurisdiction over the airport, where airlines have contracted out many jobs. Union leaders who support the measure, which SeaTac voters barely approved last November, will appeal the decision. Business leaders say a $15 an hour minimum wage would cost jobs and hurt the economy. Washington state already has the highest minimum wage in the country; it jumped from $9.19 an hour to $9.32 an hour on New Year's Day. Here & Now speaks with Scott Ostrander, general manager of the Cedarbrook Lodge in SeaTac, who says he has temporarily closing several rooms in his hotel so that he doesn't need to comply with the law, which compels hoteliers with more than 100 rooms to pay workers $15 an hour. Ostrander makes the distinction between a living wage, which he thinks should be commensurate with an employee's experience and "the totality of their tenure in the work force," and a minimum wage, which he says is an entry-level wage. However, Ostrander isn't opposed to incremental minimum wage increases. His objection to the Seatac increase is that it is too much, too fast. "What this initiative does is this increases the minimum wage by 63 percent, and a lot of businesses cannot stay in business based upon that type of expansion, so they are going to have to adjust their business models accordingly," Ostrander said. "The city of Seatac is going from $9.19 to $15, and they're doing it in a 24 hour period." However David Rolf, vice president for the Service Employees International Union and president of SEIU 775NW, says 77 percent of minimum wage worker are adults and over 25 percent are over 40. "No one who works for a living full time ought to depend on public assistance and the generosity of the tax payers in order to pay the rent," Rolf said. SEIU 775NW led the campaign in SeaTac and is the driver behind the fast food minimum wage movement in Seattle. "In the long run this is going to help small business because when workers have more money to spend, businesses have more customers," Rolf said. "This is not a new idea, it's not a radical idea, it's called Henry Ford economics. And it comes down to the idea that whether you put fuel in jets or clean a hotel room, that you ought to someday be able to buy a ticket on one of those airplanes." Scott Ostrander, general manager of the Cedarbrook Lodge in SeaTac, Washington, who criticizes raised minimum wage. David Rolf, vice president for the Service Employees International Union, and president of SEIU 775NW. He tweets @DavidRolf_SEIU. This segment aired on January 2, 2014.